Our guest columnist William Judd from the Mobile Fun blog has written a great article for all you Samsung Galaxy SII users out there. In the first of a series of three blog posts, he talks you through 15 tips to get the most out of your fantastic Samsung android phone. 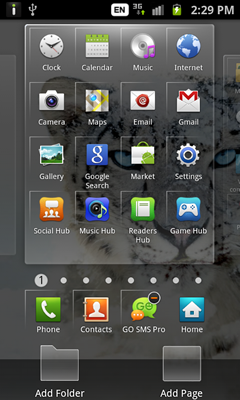 Even if you don't own a Samsung Galaxy SII, be sure to give it a read for some cool tips! 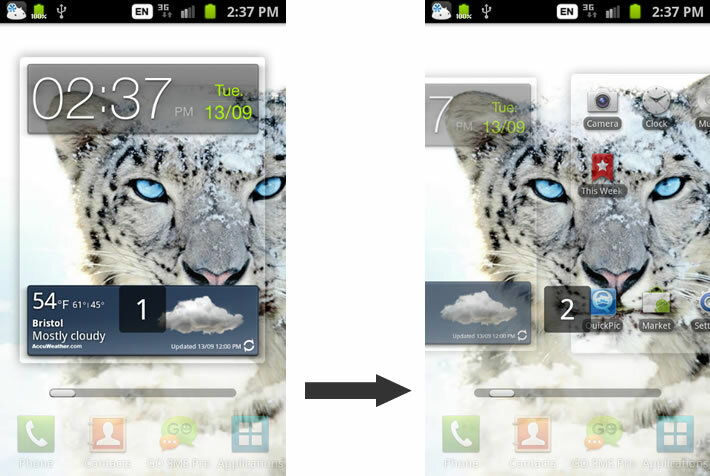 I'll be showing you 15 quick tips and tweaks that can really improve your Android experience on the Samsung Galaxy S2. Some of these work just for the S2, but others work on Android in general, so even if you've got a different Android phone this is still worth a read. In two of the default applications, the web browser (labelled 'Internet') and the email browser, you can pinch out to get a more distant viewpoint on things. In the web browser, a pinch out will show you all of the windows open. In the email client, the pinch out gesture will show all days in which you have received emails; clicking on any of these days will show the emails from that day. In the calendar client, pinching out will show you each month of the year. The pinch out gesture is used quite frequently, so be sure to try it out in various applications, particularly the Samsung applications that come with the phone. To quickly switch between each of your desktops, you've got two options. Firstly, you can drag your finger along the indicator dots left or right, prompting the screen to zoom out slightly while you scroll through your desktops. You can also just press a given indicator dot to move to that desktop; pressing the second dot will move to the second desktop, the third to the third, etc. Sometimes, it doesn't work at all though. I tried saying 'Pause' to see if there was a Pause command, and I got this result: Not what I expected! 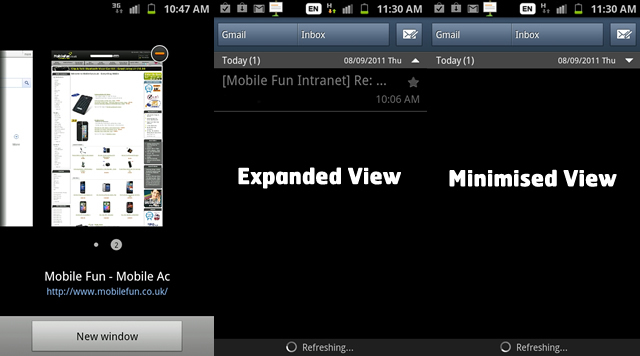 You can also add folders and pages from this interface. If you're watching a video, you can press the power button to lock the screen, making it so that the video continues to play but errant pokes of the screen won't pause it. To get out of lock mode, just tap the power button again. Unfortunately, this doesn't work on YouTube. Be sure to subscribe to our RSS feed, or better yet install our android app to make sure you don't miss parts 2 and 3 of this guide!